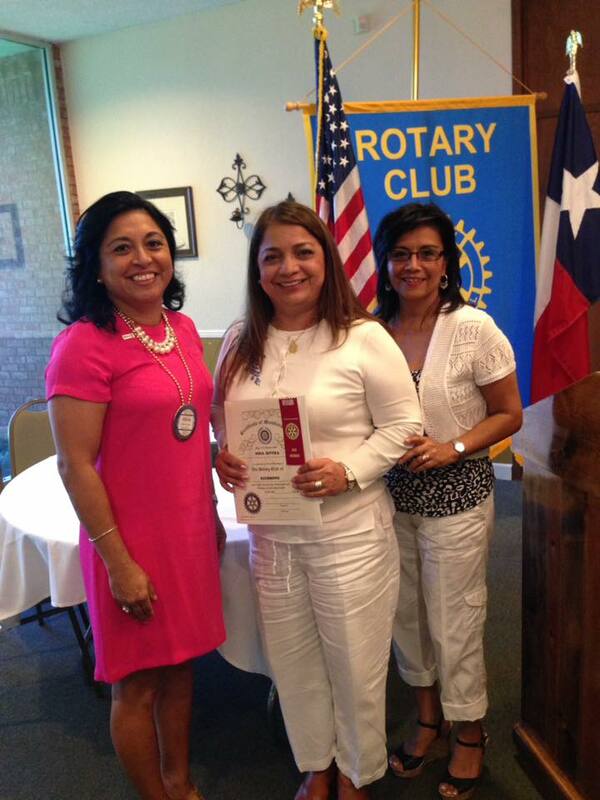 Let’s give a big Texas welcome to our newest Rotarian – Nina Rivera. Nina has been a banker for over 30 years, working for NewFirst National Bank/Rosenberg for 8 years as a Loan officer/Vice-President. She is married to Gilbert Rivera for 24 years and has two beautiful daughters attending University of Houston and Texas Tech. Her hobbies include cycling, volunteering for the community and loves spending time with family. Nina, we are excited to have you join our Rotary family. Thank you sponsor, Alicia Casias, for sharing the work and mission of Rotary.